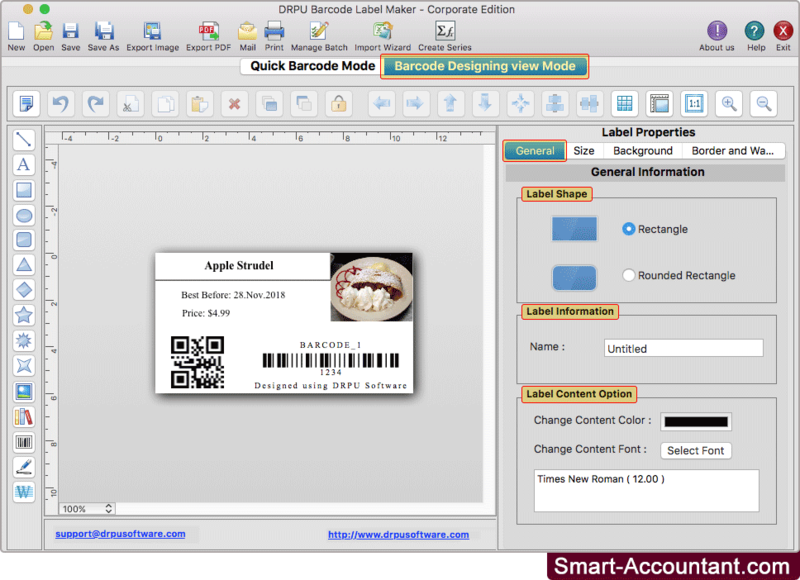 Design barcode label using Barcode Designing view Mode of software. 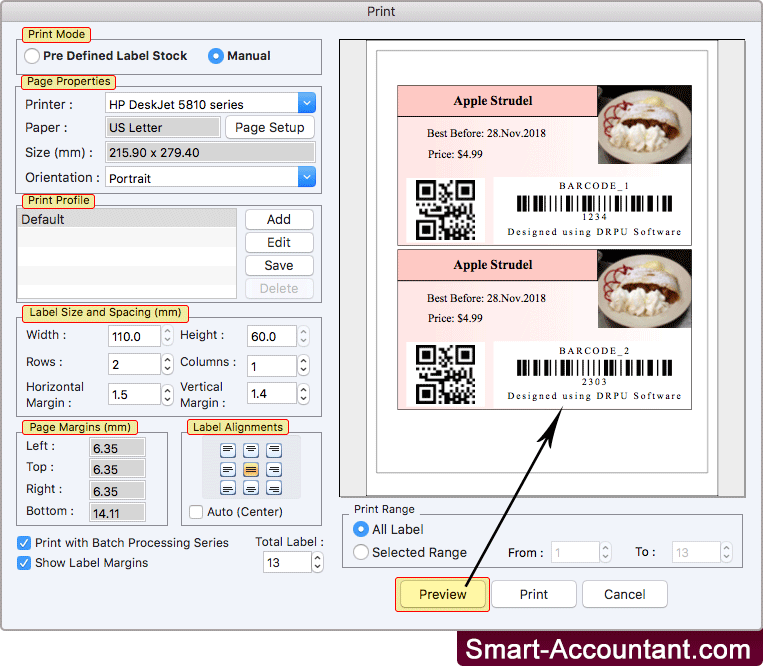 You can create barcode label in different shapes including rectangle and rounded rectangle. 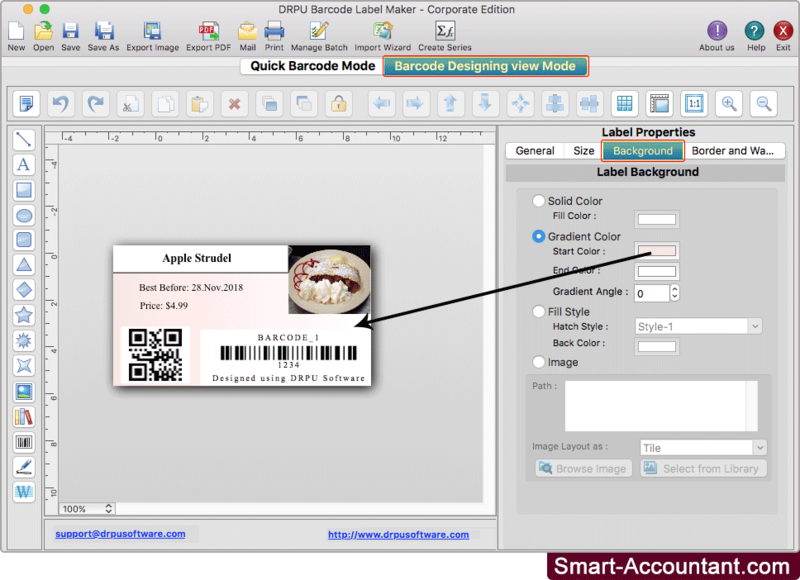 Software provides Background option to fill solid color, gradient color, fill style and browse image for background of barcode label as shown in above screen. 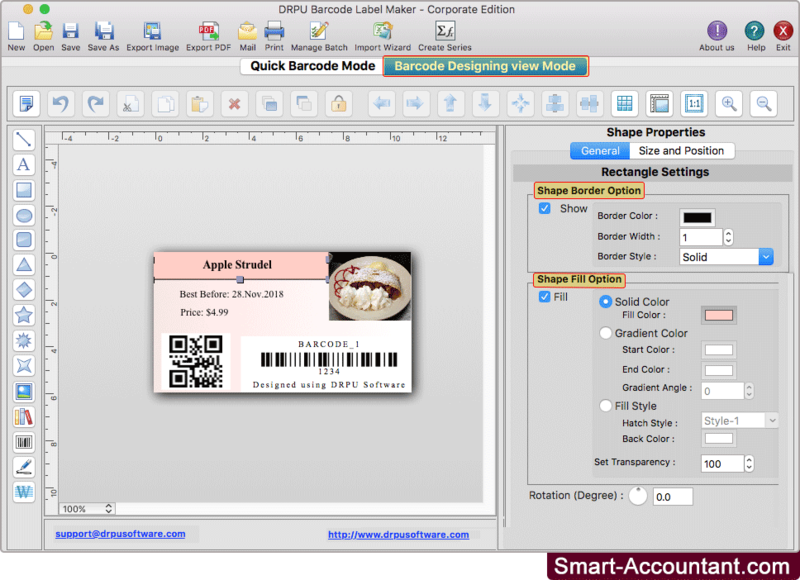 Program has feature to add shape on barcode label and adjust shape properties.